Dr. Chan accepts the following list of insurance providers. Select your insurance provider to see more details. I am Vice Chair of the Department of Radiation Oncology and Director of the Division of Translational Oncology. I am a board-certified radiation oncologist with a special interest in treating patients with brain tumors. I specialize in the use of stereotactic radiosurgery, intensity-modulated radiation therapy (IMRT), and conformal radiation therapy to treat both benign and malignant brain tumors precisely and effectively, while minimizing the effects of treatment on nearby healthy tissue. Among the diseases I treat are acoustic neuroma, meningioma, glioblastoma, anaplastic astrocytoma, low-grade glioma, oligodendroglioma, pituitary adenoma, and ependymoma. 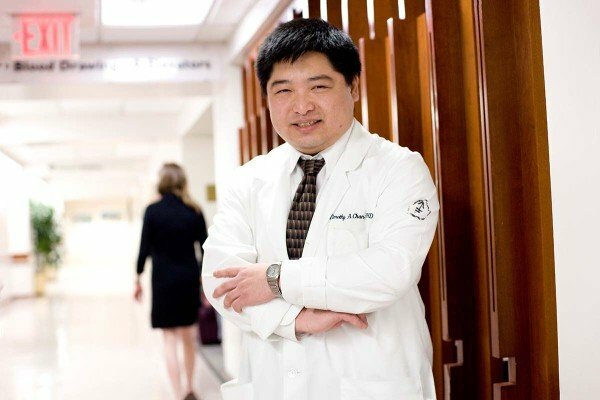 I am a member of Memorial Sloan Kettering’s central nervous system disease management team, and I work closely with neurosurgeons and neuro-oncologists to provide optimal care for our patients. I am also a member of the Brain Tumor Center. In addition to caring for patients, I am the principal investigator of a cancer genetics laboratory in the Human Oncology and Pathogenesis Program, where my colleagues and I are exploring the genetic changes that lead to cancer. We are dedicated to using our findings on the cancer genome to develop better diagnostic and treatment approaches that will improve the care of people with cancer. Visit PubMed for a full listing of Dr. Chan’s journal articles. Pubmed is an online index of research papers and other articles from the US National Library of Medicine and the National Institutes of Health.